Potassium bromate (E924 or IN924) is an oxidizing agent that chemically ages flour much faster than open air. Potassium bromate bleaches dough, and is added to flour to strengthen the dough, allowing it to rise higher and so the end product is fluffy, soft and unnaturally white. Does Pottasium Bromate cause Cancer? In tests on lab animals, exposure to potassium bromate increased the incidence of both benign and malignant tumors in the thyroid and peritoneum which is the membrane that lines the abdominal cavity. Research also confirmed and expanded these findings, concluding that ingesting potassium bromate resulted in significant increases in cancer of the animals’ kidneys, thyroid and other organs. 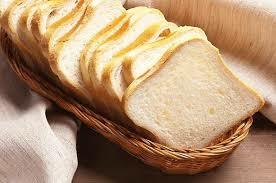 Potassium bromate has the potential to disrupt the genetic material within cells. Upon entering the body, it gets transformed into molecules called oxides and radicals. These reactive molecules can possibly damage DNA, and may play a role in the development of cancer. Scientists have observed such damage in human liver and intestine cells, where exposure to potassium bromate resulted in breaks in DNA strands and chromosomal damage. Despite the significant evidence of potassium bromate’s harmful health effects, the food industry has long argued that it is of no concern in baked products. The industry claims potassium bromate is fully converted into potassium bromide, a similar yet non-carcinogenic chemical, during baking. 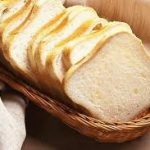 However testing in the United Kingdom revealed that potassium bromate still remains detectable after baking, with breads containing measurable levels. Consumers should consciously avoid food products that contain this chemical. Manufacturers should look to safer alternative methods and ingredients to produce their baked goods. Do not buy breads or baked products that use potassium bromate.